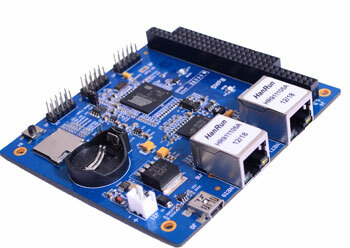 The SOC-SAM9X25 is a System on Module aim at Industrial Automation Area based on Atmel 2012 newest AT91SAM9X25. 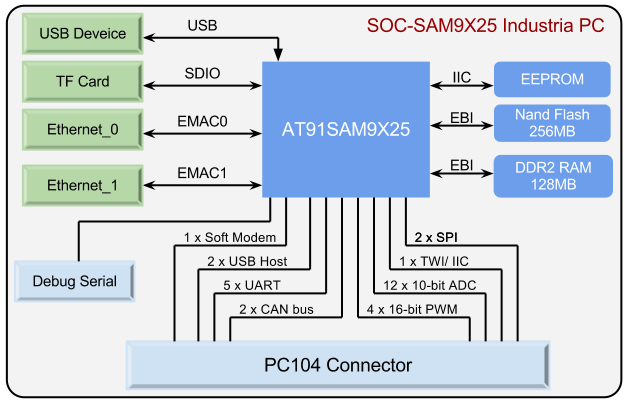 With high-performance (up to 400MHz ARM ARM926EJ-S 32bit RISC Core,), the SOC-SAM9X25 pins out all of the GPIO resources (including PA0-PA14, PA21-PA30, PB11-PB18, PC0-PC17, PD14-PD21 etc.) 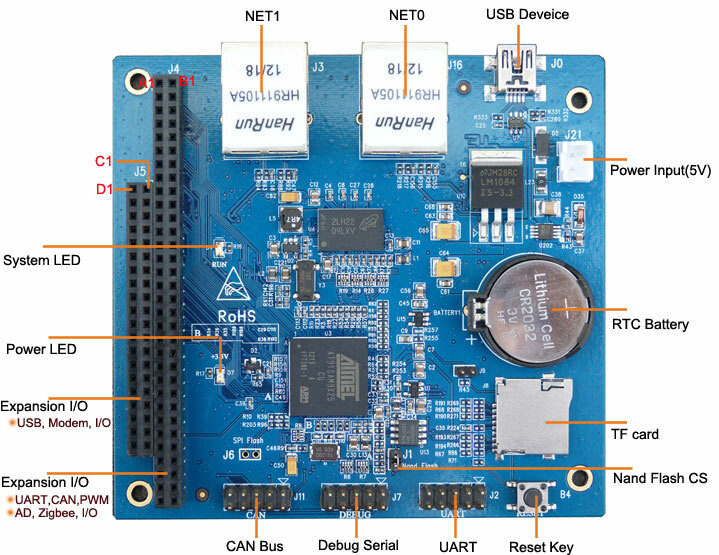 and industrial peripheral resources (CAN、ADC、UART, USB+PHY、Soft Modem, Zigbee) by flexible Embedded Industrial Control Bus connector—PC104.Besides, The SOC-SAM9X25 integrate AT91SAM9x25, FLASH、DDR and Ethernet, which solves the most complex problem of connection between DDR and CPU so that customers can use AT91SAM9x25 easily、save the product development cycle dramatically and reduce the complexity and cost of the product effectively. CoreWind offers Linux 2.6.39 for the boards. They are high-performance single board computer for industrial needs. 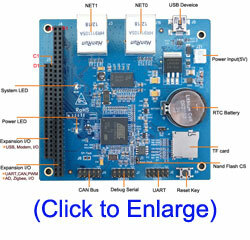 CoreWind also offers customer design service based on the SOC-SAM9X25 board according to customer’s requirement. Whether you need to reduce, add or modify to existing hardware, CoreWind will help customers with expert competence and rich experience.